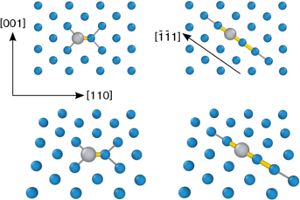 The thermodynamic properties of intrinsic and extrinsic (Ti, V, Zr, Nb, Hf, Ta, Re) defects in tungsten have been investigated using density functional theory calculations. 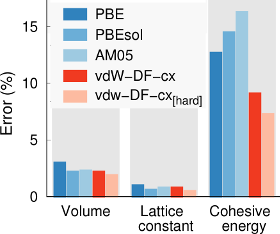 The formation energies of substitutional defects are discussed with respect to their thermodynamic solubility limits. 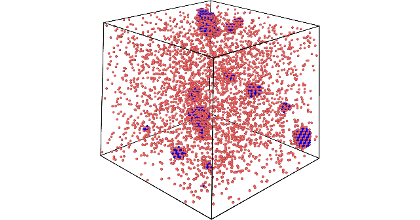 Several different interstitial configurations have been identified as local minima on the potential energy surface. In addition to dumbbell configurations with orientations along <111> and <110>, a lower symmetry configuration is described, which is referred to as a bridge interstitial. 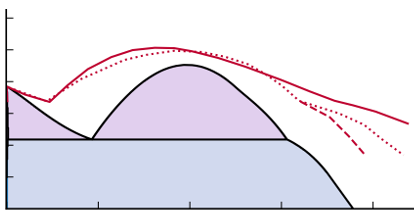 This interstitial type is found to be the lowest energy configuration for mixed-interstitials containing Ti, V, and Re, and can be up to 0.2 eV lower in energy than the other configurations. 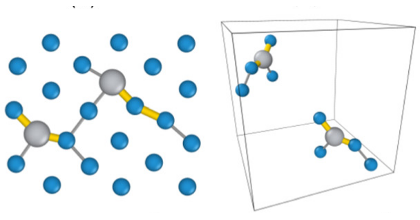 According to the calculations Ti, V and Re also trap self-interstitial atoms, which can be produced in substantial numbers during ion irradiation, affecting the mobility of the latter.